StoreHub is a cloud-based iPad POS system designed for F&B, retail, and services industries. It offers users with solutions for inventory tracking, payment processing, supplier management, sales analysis, and more. In this article, we compared the most popular pricing options available. Want to know the top POS software for small business? Read our StoreHub alternatives guide. As of this article’s writing (05/23/18), there aren’t enough reviews for StoreHub available online. If you are a past or current StoreHub customer, leave a review to help other small business owners that are deciding whether or not to use the software. StoreHub has three subscription plans: Starter ($39/month), Advanced ($79/month), and Enterprise ($149). The main differences between the plans are the maximum number of products and access to premium features such as composite inventory, pricing variation per store, low stock email alerts, and stock transfers. *Annual plans are billed in lump sum once a year. Users who opt for annual plans get two months worth of free subscription. All prices stated above are for single registers and single stores only. An additional $49/month is charged every additional store and $19/month for every additional register. Users can also purchase compatible hardware and other accessories directly from the website. Check out the list below of some of StoreHub’s features. Can I try StoreHub for free? Yes, you can sign up for a free 14-day trial here. 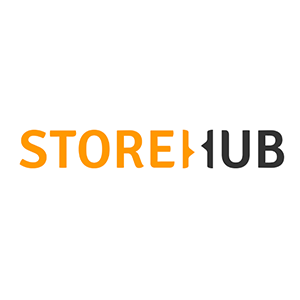 Does StoreHub train first time users? Support is available 24/7, and there are training videos accessible here. What kind of reports does StoreHub generate? Reports include payment options report, daily sales, hourly sales, categorized sales report, best selling products report, and more. The video below is a quick demo on how StoreHub can help users manage their business better. Not sure if StoreHub is the right fit for you? Read our reviews of all top POS software or check out one of these three StoreHub competitors.